FREE! 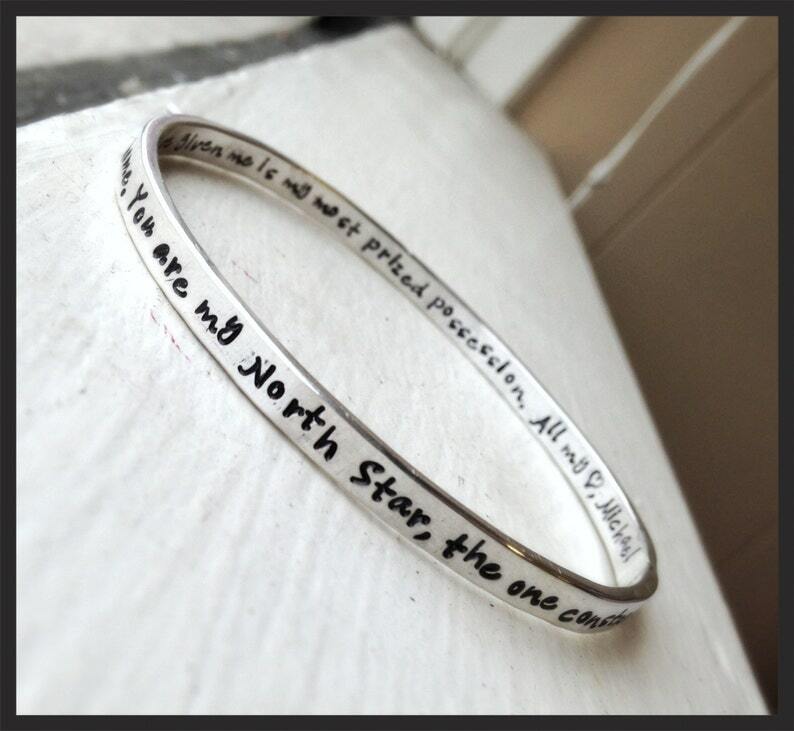 First Class Shipping on ALL Orders!This heavy, heirloom quality sterling silver bangle is hand-stamped (deeply engraved) with any words/phrase/symbol of your choice - whimsical and one-of-a-kind, each bracelet is a classy way to speak your mind! A pretty lengthy message can fit, depending on the font. This also makes an excellent shower gift, mother's day gift, Christmas gift, or birthday gift! This weight of bangle is about 2mm x 5mm.